Welcome to #24in48 – July 2015 Edition! It Begins! Hello, you gorgeous readers out there in #24in48 land! This is the official start of the readathon, as it is 12:00am ET on Saturday, July 11. Just a reminder that you can still sign up here and you can do so throughout the weekend. Keep your eyes on this blog every six hours or so for an update, with possible prize packs available and check-ins to do. 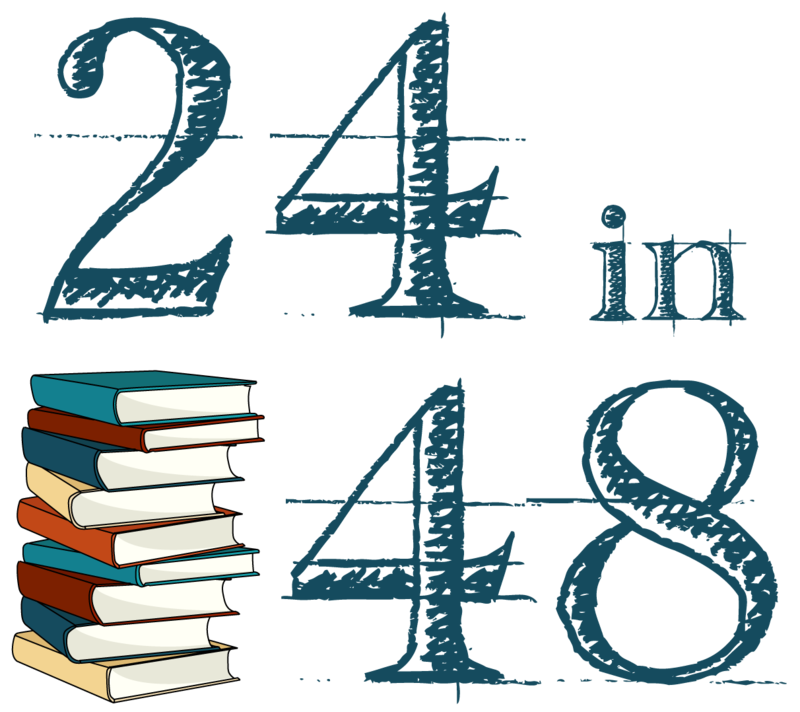 You should also follow the official Twitter handle at @24in48readathon and the official hashtag #24in48 where most of the convo is happening. I may even be doing a couple of sprints from that account, depending on how the weekend is going. You can also follow my personal Instagram account if you’re on IG this weekend. Shoutout to both Kristen and Kerry who helped write some of the check in posts for the weekend (they’ll be marked appropriately), and who are both just generally the best moral support a readathon creator can have.